MAKE IT: Last year’s BUST Magazine Holiday Craftacular was such a success, this year they’re adding a whole extra floor at the Metropolitan Pavilion on 18th Street near 6th, packing the place with 300 vendors’ worth of DIY-spirited gifts for all, from jewelry to toys to edibles. Also! 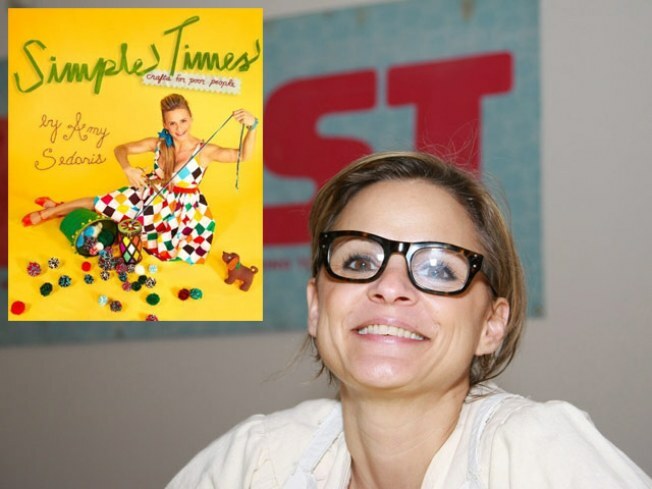 Amy Sedaris will be on hand with her pants-wettingly funny new book Simple Times: Crafts for Poor People. Sunday, 10AM-8PM. SHOP RIGHT: The trend scourers at Cool Hunting up the ante this year, opening their very first pop-up shop in tandem with Gap, and filling it with (what else?) the coolest stuff around. Taking over Gap's project space on 5th Avenue at 54th Street, they’ve curated a mix of mostly NYC-area indie makers and artists with an offbeat sensibility—the fact that they’re stocking exclusives from cheeky home-décor guru Jonathan Adler, Behance journals and tote bags stamped with eats from all 50 states should give you a sense of the sensibility at work here. The Cool Hunting for Gap Pop-Up runs daily (except Christmas) through January 2 at 680 Fifth Avenue. Saturday 10AM-9PM, Sunday 11AM-8PM. TIPPLE: If you tend to gift booze at the holidays (always a nice choice), we recommend that instead of reprising your last-minute dash to the liquor store, you get your shopping squared away at the Astor Center's Annual Holiday Gift Bazaar, where Astor Wines prez Andrew Fisher will be among those on hand to help you pick through a well-curated mix of wines and spirits. And you couldn’t possibly buy without trying: There’ll be plenty of tastings at the event. Saturday 2-5PM.